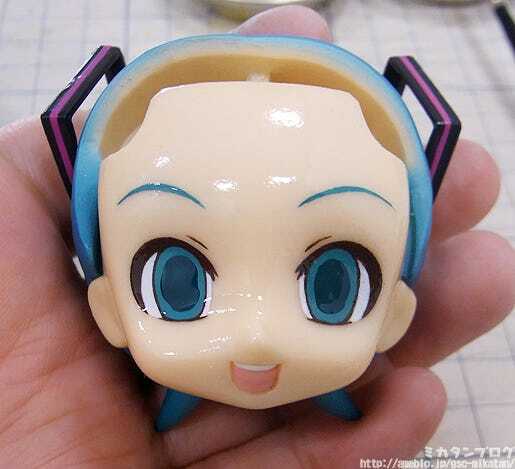 Kahotan's Blog | GOOD SMILE COMPANY Figure Reviews | Painting a Nendoroid Expression Part 6: Pupils and Shadows on the White of the Eye! I’m actually having so much fun with this, so I’m thinking about challenging another expression next year and trying once again! I don’t want to bore everyone reading the blog though, so I want to get through this one sooner rather than later! Wish me luck!! 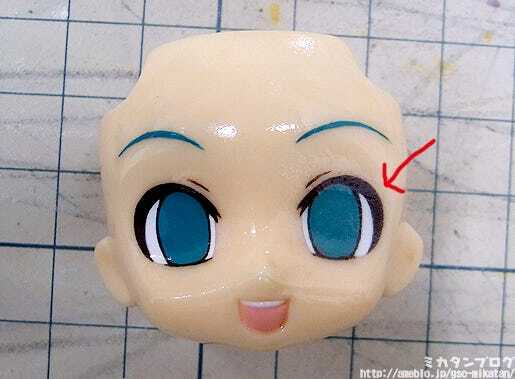 Painting a Nendoroid Expression Part 5: Mixing Colors and Eyebrows! Alright, time to save with some lacquer paint and get to work! I’ve already messed up with my save!! 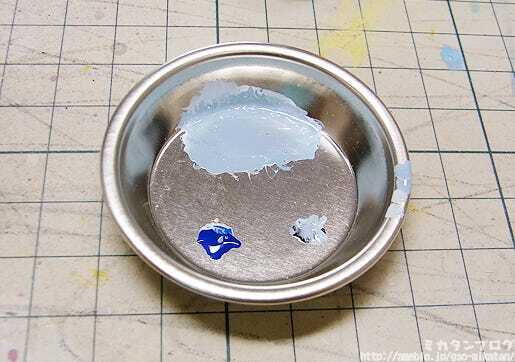 This causes the paint to go lumpy, and the borders to blur…! Let’s move onto painting the pupils! This time I’ll be using white, green and blue! 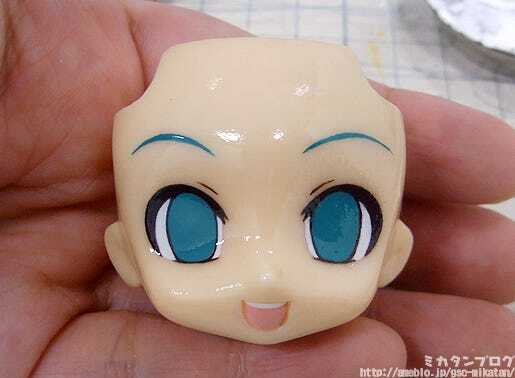 The pupils make use of a slightly darker shade than then base eye color. 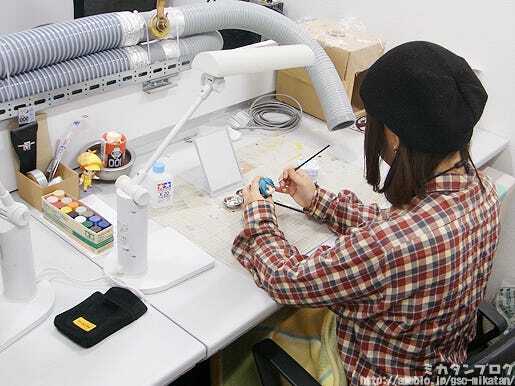 Here I got some advice from Reiichi Itou, who has worked on a number of Nendoroids including Haru-chan, Kuma and Tsubasa Kazanari! Thank you for the advice, I’ll try it right now!! Last time I mixed a darker color first and then added more and more white to get the right color, and ended up with far too much paint!! A quick splash of paint! Hmm… I wonder if the professional finishers manage to get this right on the first try every time… I’ve painted on far too thick a layer here, but I’m going to just have to continue with this and see how it goes! Fixing up the shape with enamel thinner! There we go, that looks a little bit better. I’m still far more worried about that lumpy area and the messy line that I caused at the start of this post… But anyway, Hiro-san and Kawahara-san had some advice for me regarding the pupils! The pupils are really important! The position and size both have to be perfect, or else they’ll cause the left and right eyes to be facing different directions! It’s easier to get the direction of the eyes right if you paint the pupils relative to the eye! I understand what they’re saying, but I’m not sure whether or not I’ll be able to actually make use of the advice when working on my painting! By the way, I’ve constantly been making use of a mirror to make sure that the symmetry of the expression wasn’t off! Mixing colors for the darker shadows! The top of the white of the eye always has a slightly darker shadow. 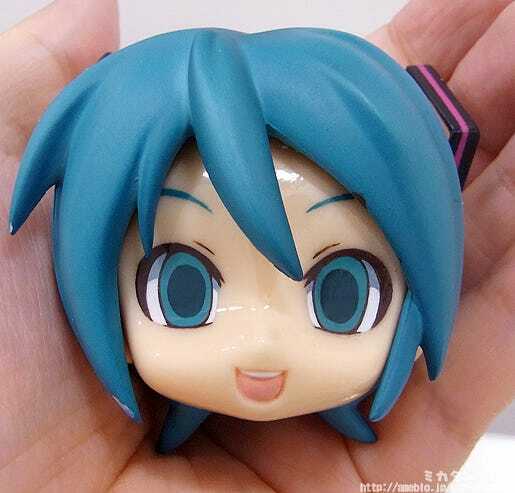 This color actually differs quite a lot between characters – take a look at your Nendoroid collection and compare! 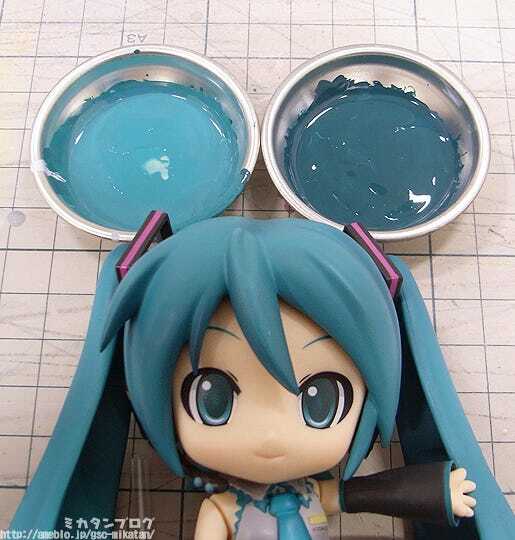 I’ll be using a mix of white, blue and black for Miku! 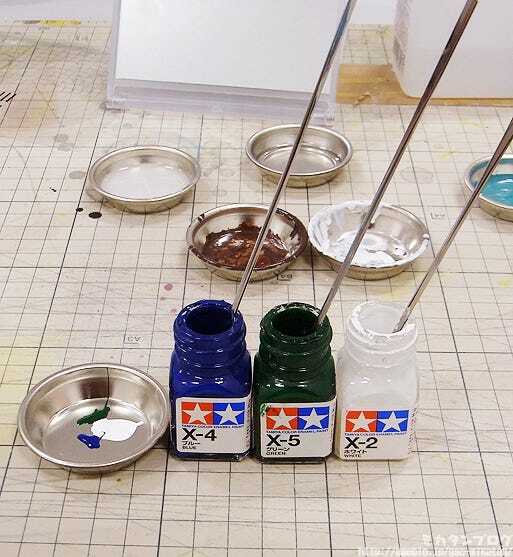 My painting always overflows over onto the borders… but that can be fixed up with some enamel thinner, so it’s not a problem! There are a number of other areas that are still bother me as well, but I just have to move on and see how it turns out! I’ve been trying to fix the messy eye borders the whole time while I’ve been working on the pupils, I think it is starting to look at least a little bit better now – if you compare it to the photos above you can see I did make a few changes! 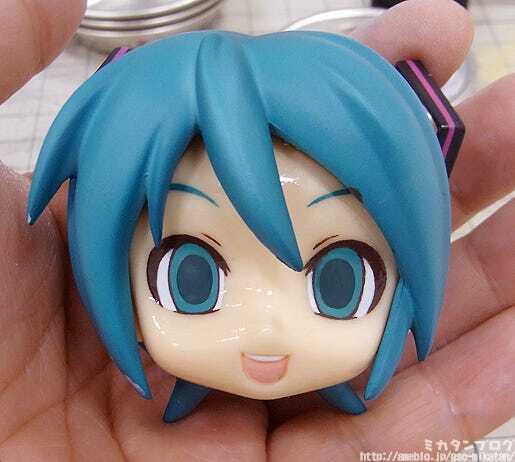 As always, the eyes look like they’re tilted the wrong way… I wish I could fix it!! I think overall the lines look alright, but the inner corner of the eyes have too much white which cause the eyes to appear tilted. 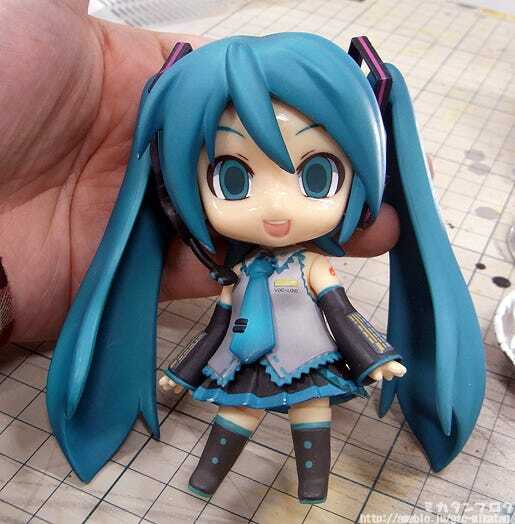 Attached to the Miku body! 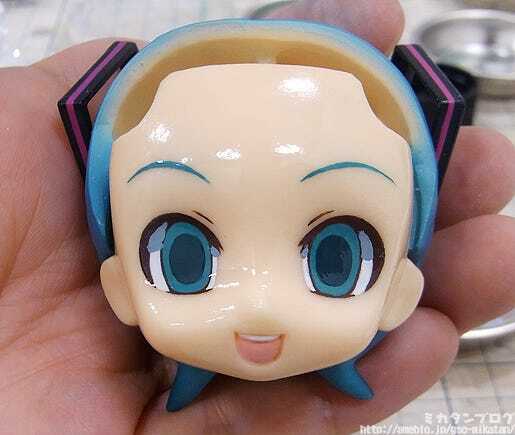 But… she looks so evil!! 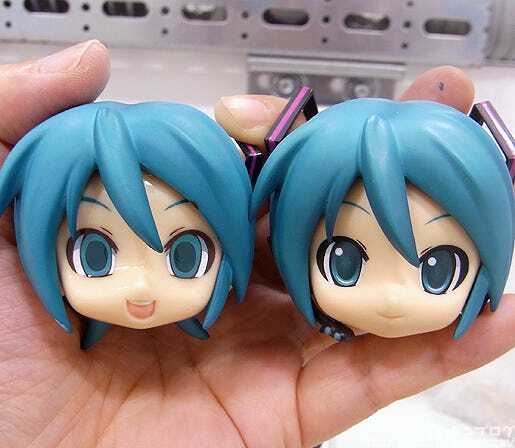 I’m so sorry, Miku!! Forgive me!! The next post should be the final in this series! It’ll feature masking, gradient and highlights! If the masking takes too long, it might be split into two posts though! We’ll have to see how it works out!